As I’m sure you’re aware, in 2017 the NFL held four regular-season games over here in the UK, two at Wembley Stadium and two at Twickenham Stadium. As always at these games, the league didn’t miss the opportunity to sell NFL merchandise and game memorabilia to the mass crowds of fans. It always confuses me as to why fans wait for ages in unorganised scrums at the smaller merchandise tents or queue for ages in the snaking lines leading up to the huge merchandise tent they have at each game just so they can pay the high prices NFL gear has proven itself capable of being sold at. Not only do you have to spend a lot of your pregame time in these crappy queues but then you have to carry a clear bag full of your gear around with you on match day — probably to have some drunken muppet sitting behind you spill their beer which then runs down the step onto your stuff. Why not instead just have a look at what they have for sale at these stalls and decide if there’s anything you like the look of before continuing on with your day (probably drinking and spilling beer on the person in front of you’s stuff they’ve just bought, or is that just me 😉 ). Then just wait for a week or two before heading over to NFL Shop Europe and buying the stuff you liked at a cheaper price and let them deliver it to your door? You’ll find all the stuff on there for each of the teams that played in the 2017 NFL International series of games: Jacksonville Jaguars, Baltimore Ravens, Arizona Cardinals, LA Rams, Minnesota Vikings, Miami Dolphins, New Orleans Saints and even my Cleveland Browns have stuff for sale on there. There’s the usual gaudy stuff available but there’s some quite nice, tasteful stuff as well this year that I’d actually wear (were I not boycotting the Browns by not buying any more gear until they buck their ideas up and stop embarrassing me as a fan, hehe). I have already bought some of this stuff from the NFL Shop Europe site as I couldn’t resist and I can be a sucker for a sale. As well as the team stuff, there are many generic items relating to the whole NFL London 2017 series including mugs, keyrings, footballs, caps, scarves, mini helmet etc. on the website and all at discounted prices of up to 50% as they try to shift the stuff from their stock. So, if like me you’re a fan of one of the teams that played in the NFL London 2017 series of games or you went to a game or games that year and like memorabilia, then I suggest you get on over to the NFL Shop Europe and grab yourself some cheap gear without the hassle of having to queue on gameday. Whilst you’re there you’ll see that there are more items at discount prices than just the NFL London things which might be of interest to you if you aren’t bothered for the 2017 teams that came over. 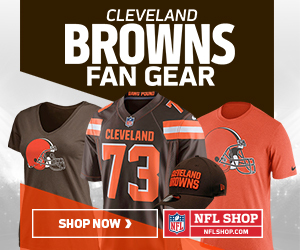 Just follow any of the links above or use the button below to be taken to the relevant page of the shop where you’ll find some nice discounted NFL gear.